Every year Brahmanbaria Zila Parishad scholarships to the meritorious students in need of financial aid studying at different levels of education since its beginning. 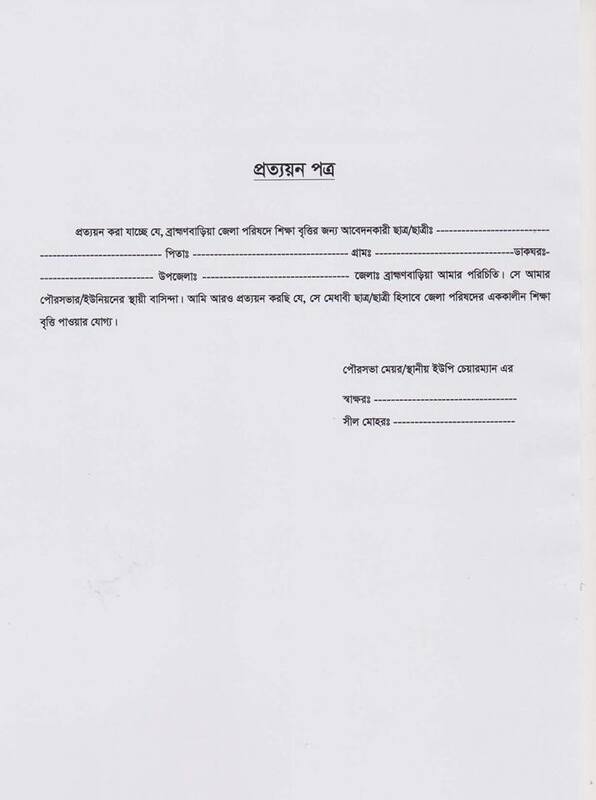 Every Interested Brahmanbaria Zila Parishad Permanent Residence students can apply from within 28 February, 2018. 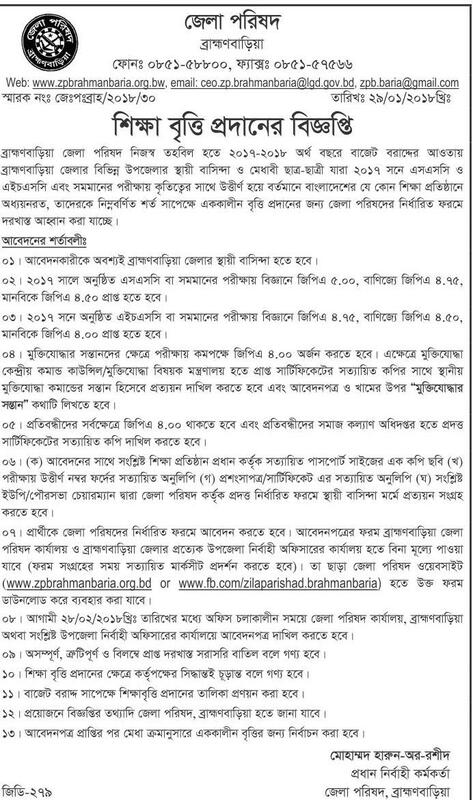 Brahmanbaria Zila Parishad authority will be published SSC/Equivalent and HSC/Equivalent scholarship Result their Official website notice board http://www.zpbrahmanbaria.org.bd/. 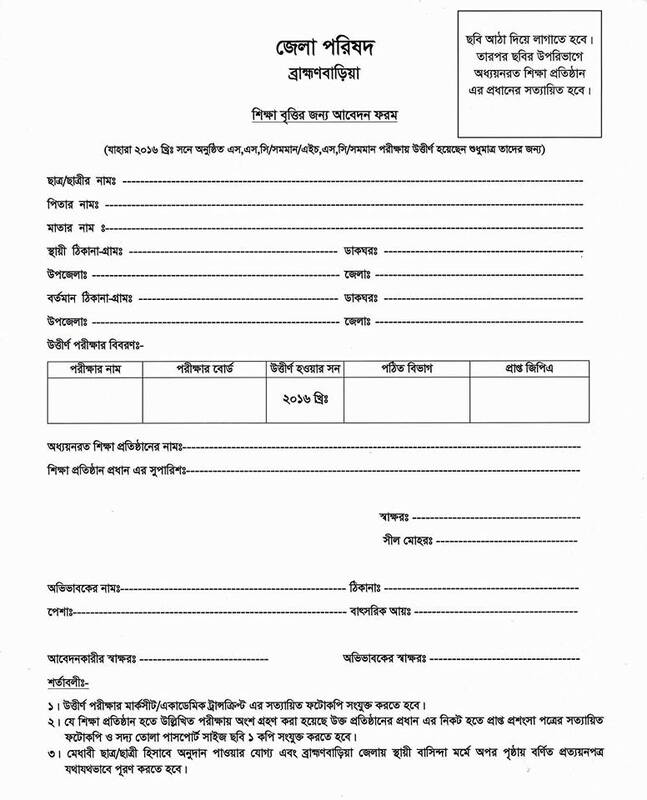 Tags: Brahmanbaria Zila Parishad scholarship Application form, Brahmanbaria Zila Parishad ssc and hsc scholarship 2017-2018, Brahmanbaria Zila Parishad hsc scholarship 2017-2018 primary selected list, Brahmanbaria Zila Parishad hsc scholarship result 2017-2018, Brahmanbaria Zila Parishad hsc scholarship result 2017-2018. 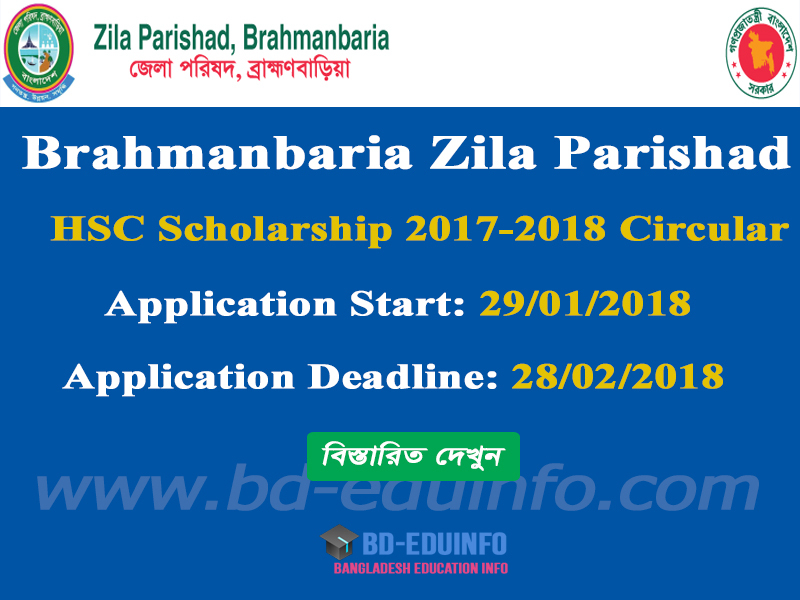 Brahmanbaria Zila Parishad scholarship Application form, Brahmanbaria Zila Parishad ssc and hsc scholarship 2017-2018, Brahmanbaria Zila Parishad hsc scholarship 2017-2018 primary selected list, Brahmanbaria Zila Parishad hsc scholarship result 2017-2018, Brahmanbaria Zila Parishad hsc scholarship result 2017-2018.